LOUISVILLE, Ky. (April 6, 2017) – The Kentucky Bourbon Affair™ just added a little rock-n-roll to its lineup. 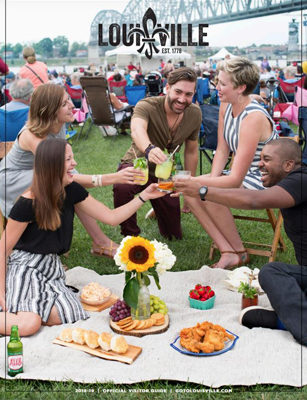 The Kentucky Distillers’ Association has partnered with the Bourbon & Beyond music festival to bring two live concerts to its fantasy camp in June. Indie rock band, Real Estate, and Habbi will take the stage at Headliners Music Hall on June 6. Louisville favorite Tony and the Tan Lines will perform at Headliners for June 8. Tickets are on sale now at HeadlinersLouisville.com. The fifth annual Kentucky Bourbon Affair kicks off June 5 and offers unique experiences across Kentucky. The six-day Bourbon fantasy camp is comprised of more than 45 events from 17 different distilleries. For more info, visit KyBourbonAffair.com. Danny Wimmer Presents, creators of Louder Than Life, one of America’s premier hard rock destination festivals, last year added Bourbon & Beyond to their Louisville line-up, with heavyweight headliners, including Stevie Nicks and Eddie Vedder. Held on back-to-back weekends in September, the first-ever Bourbon & Beyond and the fourth annual Louder Than Life drew a combined 110,000 people to Champions Park in 2017. In January, DWP announced a 10-year lease for Champions Park and plans to continue the annual Louder Than Life and Bourbon & Beyond festivals, with a future country music festival now in development. Launched in 2014, the Kentucky Bourbon Affair each year welcomes thousands of Bourbon aficionados, enthusiasts and visitors to the Commonwealth for a week of exclusive experiences, rare tastings and culinary events at the world’s most famous distilleries. Gregory said with all of the smaller, exclusive experiences offered, the live music events give the KBA a chance to engage more of the community and gain a new audience. “Kentucky Bourbon brings people together, and that is what the Kentucky Bourbon Affair is all about,” Gregory said.